Founded by Alfred Stieglitz in New York in 1902, the name was invented by him as a way of affiliating the photographers with the modernist secession movements in Europe. 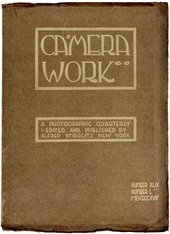 The other members were Alvin Langdon Coburn, Gertrude Käsebier, Edward Steichen and Clarence H. White, who all placed great importance on fine photographic printing and used techniques to emulate paint and pastel. The results were printed in their magazine Camera Work that Stieglitz edited from 1903–7, and exhibited in their gallery, The Little Galleries of the Photo-Secession, later known simply as 291.